Although warts and moles are usually not a threat to our health, they can be unsightly and have a negative impact on our self-esteem. And it can be difficult to remove moles and warts, especially when they show up in difficult or sensitive areas. Over the counter remedies will often use harsh and abrasive techniques such as freezing the area, to remove the skin growth and therefore may not be the best thing to put onto your body. But essential oils are a safe and gentle way to remove these unwanted blemishes. 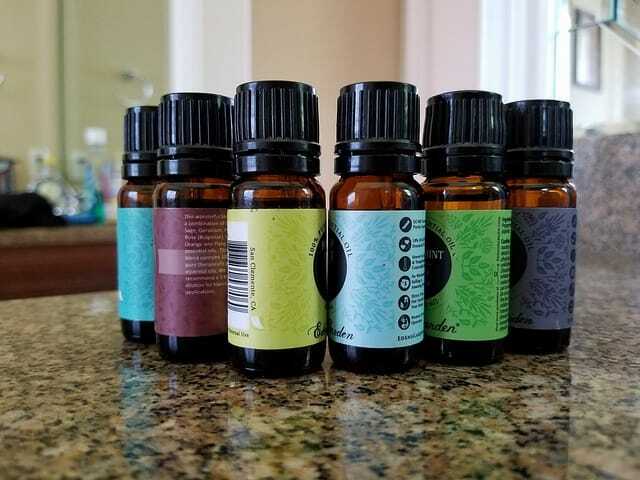 The all-natural essential oils have been shown to remove warts and moles, without exposing your skin to nasty chemicals or unwanted medications. Moles are small, coloured spots on the skin. Most of us have them and they're usually nothing to worry about unless they change size, shape or colour. So what causes moles? We have specific skin cells called melanocytes. These cells are responsible for melanin production, which creates the pigment or color in our skin. A mole develops when melanocytes grow abnormally in clusters, instead of being spread evenly throughout the skin. Warts are caused by an infection in the top layer of the skin, caused by viruses belonging to the human papillomavirus (HPV) family. When the virus invades the outer layers of our skin, usually through a scratch, it causes rapid growth of cells which creates a wart. Warts often appear on the fingers or on the hands. Most warts are harmless, but like moles, the unsightly nature means you may want to get rid of them fast! Essential oils are derived from botanical plants. They are extracted from the roots, leaves, seeds and stems of certain plants. They are rich in antioxidants and nutrients that are powerful in treating trouble sleeping, relaxing and switching off as well as a variety of ailments, including many skin conditions such as warts and moles. Applying certain essential oil continuously helps dry up the moles and warts and cuts off blood circulation, enabling them to fall off faster. Many essential oils have astringent properties that tighten skin and remove excess sebum, keeping skin on the mole or wart dry. Some essential oils can be used directly on skin without first diluting with a carrier oil. This makes them safe for moles on the lips or eyelids, without worrying about burns. However, make sure you research the essential oil thoroughly before use so you know what you’re using is completely safe. Clove oil is a great choice for moles because of its antifungal, antiseptic and anesthetic properties. However, it is extremely potent, so you should use this oil in moderation and with a carrier oil. Also, if you are pregnant, you shouldn’t use clove stem, clove leaf or clove bud oil. Add 1-2 drops to ¼ cup of carrier oil (coconut oil is our favourite). Dab the solution directly onto the mole. Repeat this every day as needed. Frankincense is a popular choice for moles because it’s a natural antiseptic and disinfectant properties. This is one of the few essential oils that can be used directly on skin without first diluting it with a carrier oil. This makes it safe to be used for moles on the lips or near the eyes without worrying about burns. However, when using this oil on the eyelids, dilute it before application to be safe. Tie a length of thread around the mole you wish to remove, then put a drop of Frankincense oil directly on the mole. Apply daily as needed. 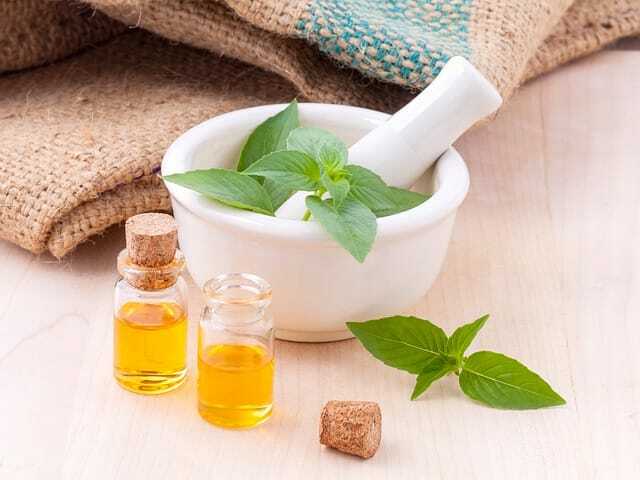 Oregano oil is a naturally occurring antibiotic, which in turn makes it a great alternative for fighting viruses. The oil contains carvacrol and thymol, which have antifungal and antibacterial properties. These can give you a natural antibiotic, which allows this natural DIY wart remover work wonderfully. Mix this oil with a carrier oil and apply to the wart to help it heal. This essential oil is something that everyone should have in their home for a whole host of reasons. However, if you need to get rid of a wart, tea tree oil is an excellent treatment. It is loaded with antiviral ingredients and is better at treating acne, psoriasis, eczema, scars and warts than most over the counter treatments. 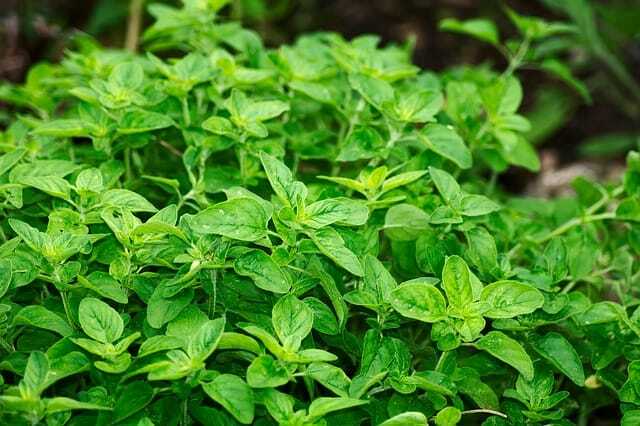 While it doesn’t work as quickly as oregano oil, it is no less effective at removing the issue. Tea tree oil is safe to apply directly to warts as a remover. However, if you have sensitive skin, consider diluting it in a carrier oil first. 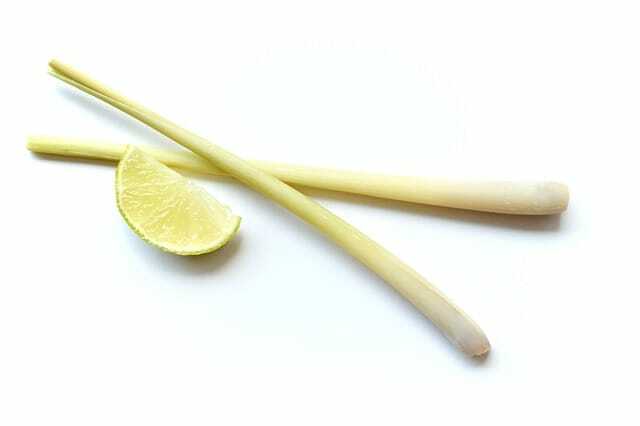 It has been shown in studies that lemongrass can have the desired effect in the effective elimination of the herpes simplex type 1 virus (the one that causes warts). It is effective even after the appearance of the cold sores, it has the added ability to treat shingles, caused by the chickenpox virus, and is a great wart treatment, too. It is possible to use these wart and mole removal remedies in two ways. Either as a direct, topical treatment or as a solution applied to the skin. If you suffer from sensitive skin then it is probably best to skip over this type of treatment and try the next one. Applying any oil directly onto your mole or wart can be harsh on your skin. This direct application means applying without dilution and this can cause issues. When applying the oils directly you will be placing drops directly onto the mole or wart. In order to protect the skin around the mole or wart, you are going to need to protect the healthy skin that surrounds the blemish. To do this, it’s advisable to apply something such as vaseline, lotion or a carrier oil of your choosing on the healthy skin surrounding the wart or mole. Next, get the essential oil that you’re going to apply to the mole or wart and put a few drops on the end of a Q-tip. Dab it onto the mole or wart. You can put a band aid or bandage on it, if you choose. Repeat this three times a day for a week or until the mole or wart falls off. Castor oil also has properties that can help to get rid of skin growths such as warts, moles or skin tags. In order to use it as a carrier oil, mix about ¼ tsp, depending on the size of your mole. Place it into a small dish and add the essential oil of your choice. Mix the solution with a Q-tip and apply it to the skin growth. Repeat this application three times a day for a week or two, until the blemish falls off. Mix 1-2 drops of each of the essential oils mentioned above with ¼ cup of carrier oil to create a potent wart or mole remover. Then use a Q-tip as described above with your new solution. 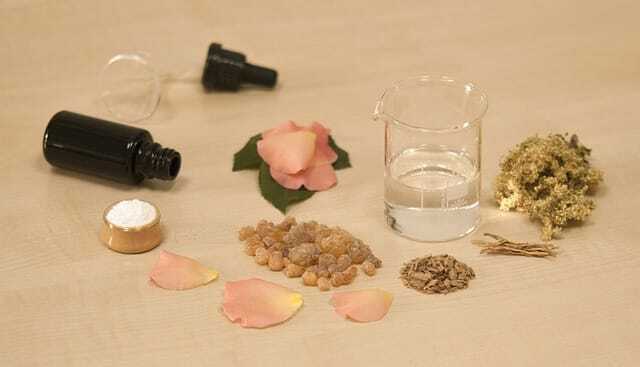 Essential oils can be very effective in getting rid of skin growths of all kinds. Effective as they are at removing skin blemishes, they do still take a little time to work effectively. Patience and consistency are key in the use of essential oils. Don’t be tempted to give up halfway through. You may see results from as little as seven days, but it could take longer depending on the size of the skin growth. In most cases once the treatment is complete, for most the mole will simply fall off once it has dried up. Once the mole falls off there will be a little piece of pink skin left behind. This should heal quickly. These changes can happen over weeks or months. In some instances they are a sign of melanoma, a type of skin cancer, so it’s important to be safe and seek medical help.